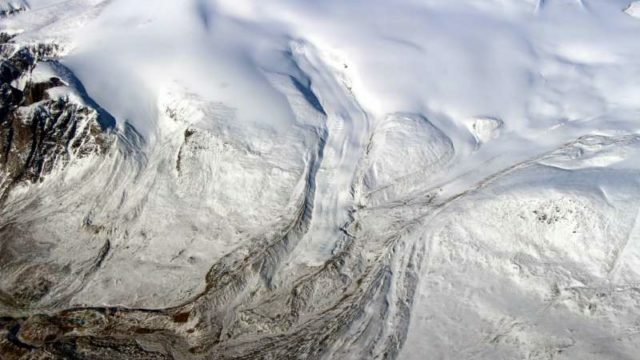 UC Irvine scientists have concluded that the melting of Canadian glaciers due to global warming has grown by 900 percent, according a report published Tuesday. The UCI glaciologists reported in the Environmental Research Letters journal about the rate of melting from 2005 to 2015 in the Queen Elizabeth Islands area. The average melt-off rose from an average of three gigatons to 30 gigatons annually, according to the study. “In the past decade, as air temperatures have warmed, surface melt has increased dramatically,” said Romain Millan, an Earth system science doctoral student at UCI who was the lead author of the study. The region is now a major contributor to sea level rising, the scientists reported. About one-quarter of all arctic ice is in Canada, second only to Greenland.